This map shows shops, market stalls and farms that sell locally produced food. See also the Local Food Directory below. Check out also the Cambridge Carbon Footprint Local Directory. If you know of any other local food outlets, please let us know. Either email Nicola or use the discussion forum - and please do add them to the map above! Cambridge Organic Food Company is a group of organic farms in the Cambridge area. Arjuna Wholefoods 12 Mill Road 01223 364845 is not exactly a farm shop but they do sell locally produced organic fruits and vegetables, plants, honey, eggs and bread. Also Urban Larder has locally made bread, fruit and veg and delicacies including cakes and very exciting relishes. A Waller & Son 15 Victoria Avenue, Cambridge, CB4 1EG (01223) 350972‎ They sell beef from CamCattle the herd of Redpoll on Midsummer Common, and sell many other locally sourced meats. Art of Meat 45 Arbury Court, Cambridge, CB4 2JQ Tel: (01223) 350950 Another traditional butcher who sources meats and eggs from Bedfordhire and Suffolk. Cam Cattle selling meat from the Red Poll cattle that graze on Midsummer Common, Stourbridge Common and other places in and around the city. You can't get much more local than that! They also have a box deliver scheme. Cambridge Farmers's Outlet selling lines from the Lensfield Road shop. Cambridge Country Market (the new identity for the WI market) sells cakes, biscuits, savouries, preserves and chutneys etc. every Thursday on Cambridge Market (2nd row in with its back to Gap children). 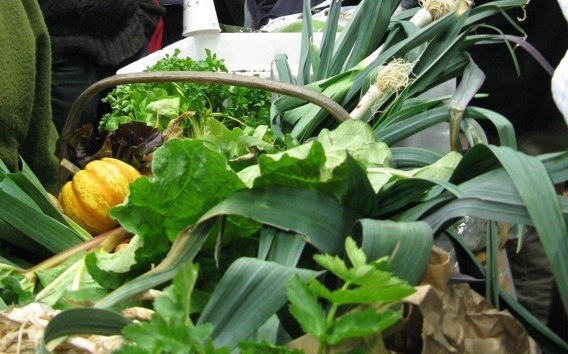 Producers are all local and make, pick or grow everything that is sold on the stall. Cobs Bakery uses local flour to make a variety of bread available through retail outlets including several listed above. Chocolates made in Newmarket by Cheryl Brightly and her daughter. They are made with local sugar and they are looking for local chillies! Available from Burwell Farmers Fayre. The Cambridge Cheese Company City centre deli that sells local honey, Cambridgeshire made pork pies, and sources locally grown salad for lunchtime sandwiches. Country Kitchen Country Kitchen was started by a collective of local people from Haslingfield and surrounding villages with a shared interest in creating a small but beautiful shop.